I was reading an article on the Appalachian Trail Conservancy website about how overall trail usage is on the rise when I noticed there’s been an increase in flip floppers. My intent with this blog post is to pass along some hiking safety tips, so the term flip floppers caught my eye right away. I was thinking who on Earth would wear flip flops when they were hiking the Appalachian Trail or any hiking trail for that matter? But the article wasn’t talking about the kind of flip flops that popped into my head. Pardon my ignorance! Flip flopping on the Appalachian Trail means using alternate or non-traditional thru-hiking trails to avoid crowds of hikers during the busiest times of the year. The Conservancy has been promoting the practice and in 2016 the number of flip-flop thru-hikers increased 22 percent compared to 2015. The number of people who hike sections of the trail also increased — 26 percent. The Trek also has some interesting stats about hiking the Appalachian Trail. The Appalachian Trail is considered “the longest hiking-only footpath in the world.” It’s 2100 miles long and stretches from Springer Mountain in northern Georgia to Mount Katahdin in central Maine. The Maine section is widely regarded as one of, if not the most, difficult stretches of the trail. Here’s a list of things you should be thinking about if you’re going out on a short or a day hike. Wear proper footwear (not flip flops). Wear proper clothing (no cotton). Consider dressing in layers in case the weather changes. Pack a rain jacket. Know where you’re going and let someone else know. Bring a flashlight and extra batteries if you’ll be out after dark. Bring a multi purpose knife (my husband always carries his Leatherman). Bring a simple first aid kit. Don’t forget sunscreen and insect repellent. Don’t overreach. Know your limits. Bring a waterproof trail map and/or a compass (know how to use the compass). 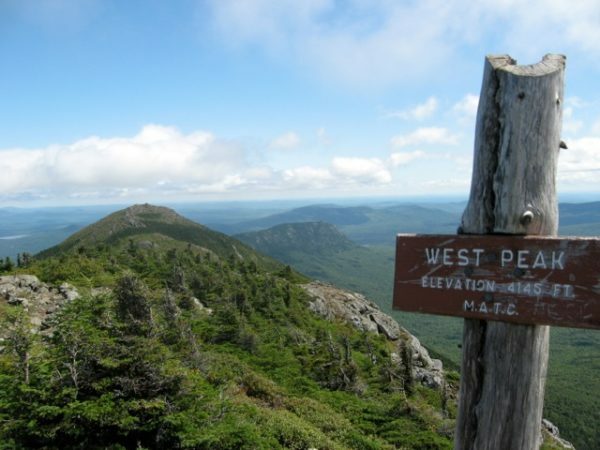 If you’re really into hiking or want to give it a try or you simply enjoy the outdoors in Maine, you should think about joining 1000+ hikers who’ll be gathering in Waterville August 4-11. The Maine Appalachian Trail Club is co-hosting the national Appalachian Trail Conservancy Conference at Colby College. There’ll be a week full of workshops, guided hikes, guest speakers and celebration of all things wonderful about the Appalachian Trail. Online registration has closed but you can just show up and register at the event. Click here for more information. Can’t make it to the conference, but you’re itching to take a hike? The Maine Appalachian Trail Club has a long list of hiking and camping resources. I also found some other resources for tracking down awesome places to hike throughout the state. Maine Trailfinder: A free online resource for people-powered four-season trails in the state of Maine. Act Out With Aislinn: Blogger Aislinn Sarnacki is the queen of one-minute hikes in Maine. 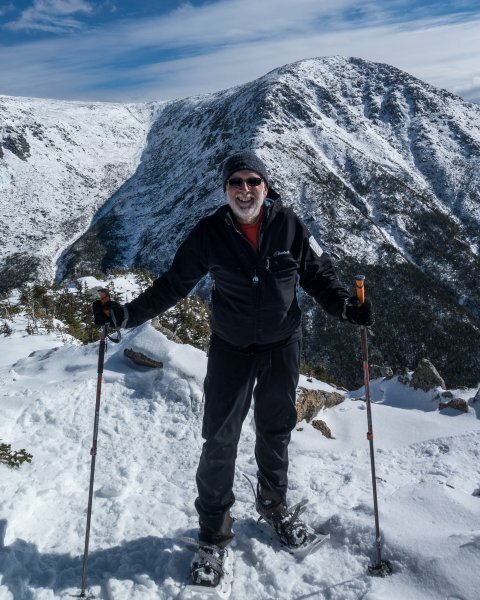 Maine Mountain Guide: Carey Kish, who writes the blog Maniac Outdoors (among other things), is busily working on the next edition. 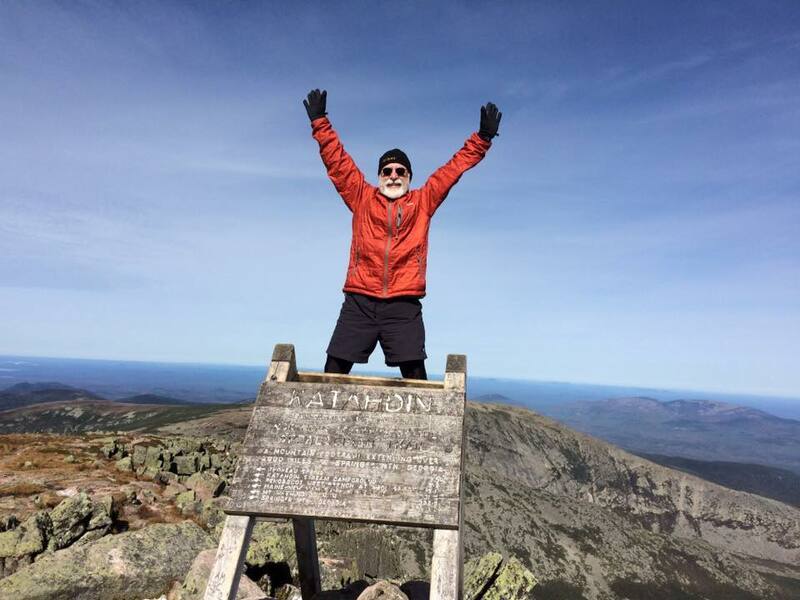 Carey has hiked the entire Appalachian Trail twice. I’m going to let him have the last word on the joys and benefits of hiking in Maine. Just don’t do anything foolish and don’t wear flip flops. Do you have favorite hiking spot in Maine? Share it with us. Better yet, share a picture on the Catching Health Facebook page.